Beringer blinked. The demon zipped to the next target and fired a black spike, smashing clean through her chest. The spike retracted just as fast, creating a vortex of soul energy that disappeared into the Void. The third witch spun around, popping off rounds at it. The demon laughed, appeared next to him and spiked his face. The witch’s head vanished in a pyrotechnic cloud. Beringer swore, sent forth a trickling of his soul into the Void and stopped the clock. The Greater Demon sauntered from behind a gravestone, walking nonchalantly towards Beringer. This close, he could finally make out its form. 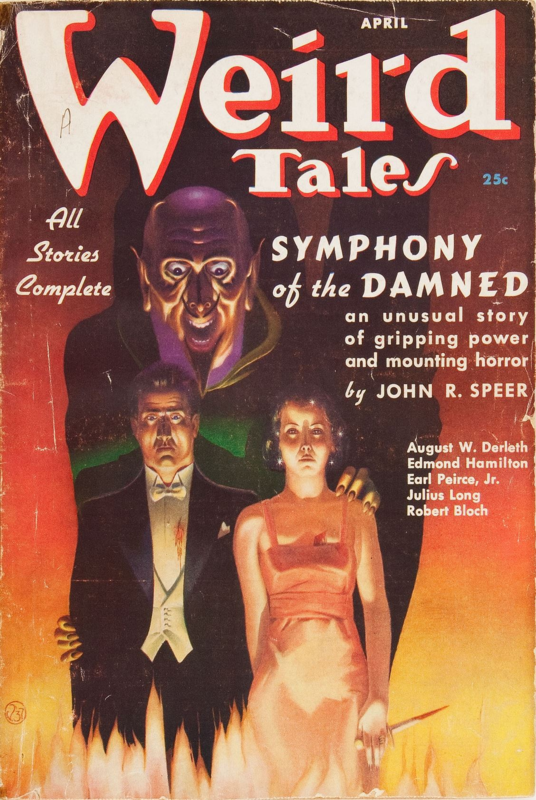 It had taken on the shape of a mortal man, wearing a black button-up jacket and matching pants, with black gloves and knee-length boots. He was...the boy he had seen earlier. Beringer kept his face a neutral mask. The Voidguard raised his pistol and with one hand rapid-fired a string of five shots. Lowering his weapon, the Voidguard saw a cluster of bullets at head height, frozen in space-time. Scowling, he extended his pistol and crossed his left arm under his weapon, pointing the blade at the enemy. Beringer released his hold on time. The demon’s eyes widened. The bullets slammed into his chest and neck, exploding in brilliant light. The Greater Demon staggered away, protecting his face. Beringer aimed again, fired and fired and fired. The Voidspawn swept out a hand, and the bullets curved into the ground, exploding on impact. The demon said a Word. It rang in Beringer’s ears, vibrating in his skull, jarring his brain. Beringer gritted his teeth and drew on his aetherium. A cleansing light radiated from the soulblade, chasing away the Void. In Beringer’s peripheral vision, he saw the witch creeping up behind Simon. She was burning bright, full of power. She must have replenished her supply somehow. Beringer noticed a short black dagger in the witch’s hand. She continued to creep closer, closer, closer. Harsh laughter rang in his mind. YOU FIRST! Simon placed his left hand behind his back and saluted Beringer with his sword. “En garde!” He slashed the sword down into a low guard, placing his left hand on his back. Beringer didn’t want to play the Greater Demon’s game. Not that he saw much of an alternative. 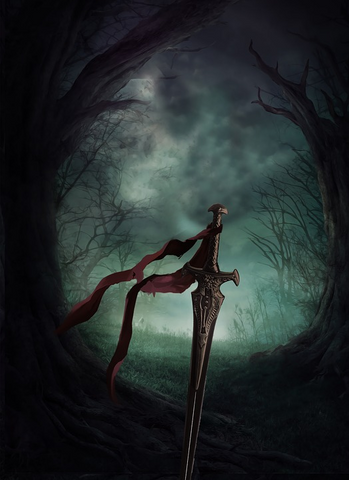 As Simon assumed his stance, Beringer flipped the xiphos around to the forward grip, almost—almost—fumbling the blade. He brought both hands high, blade at eye level, pistol by his ear. And Beringer damn near stumbled into the witch’s blade. He took two massive steps back, reorienting himself with the demon. Worms slithered across his vision, and he shook his head to clear it. The voice of his instructor returned to his mind. Don’t ever duel someone. Just kill the fucker and be done with it. The demon faced him, saber ready. Simon shuffled in, lunged, and lunged again. The first was a feint from too far away; Beringer didn’t react. The second went for his face; Beringer punched his blade out to catch the saber and the Unmaker whispered something and the voidblade dipped to slide for his guts and Beringer dropped his weight to keep the pressure and guided the voidblade down and out but as Beringer could close for the kill Simon jumped back twice and out of range. Beringer bit his lip, focusing on the pain and not the voices in his head. He had to think. Simon obviously had the reach advantage, and he knew his fighting measure. The demon danced at the edge of Beringer’s range, keeping just far away that Beringer couldn’t end things with a single thrust, yet close enough that his saber remained a threat. Going at him head-on would be challenging, if not suicidal. Beringer needed to do something different. Beringer exhaled sharply, breathed deep, feigning fatigue and let his guard drop, extending his hand just a little further and higher. Simon took the bait, thrusting in. Beringer retracted and swayed back, dodging the strike, then exploded off his back foot and propelled the blade into the demon’s hand. The demon yelped, his saber hand dropping. Beringer stepped in and thrust, arcing his xiphos around the saber and into Simon’s throat. Beringer cut out in a sweeping arc, catching the back of Simon’s arm and circling out. At the moment of the arm’s maximum extension, Beringer crashed in, capturing the demon’s arm in his armpit and ramming his pistol into Simon’s guts. And fired. —A black blade punched through the demon’s chest. The witch. She was active. But time was still frozen. The Void still beckoned at the edge of his mind. Yet the hexe was blazing with power. Her dagger turned to ebony. Energies radiated from it, flowing into Simon. The Greater Demon dispersed into smoke. Beringer took a couple of steps back, recovering his balance. And his breath. The Void retreated. Time surged forward with a vengeance, almost like a physical sensation. “How?” Beringer managed to utter. A dark mass congealed in between them, reforming into the shape of a man. Beringer raised his pistol, then realized the slide was locked back, the chamber fouled with black gunk. Dropping it, he transferred the xiphos to his right hand in a forward grip. The witch pointed her weapon at the Greater Demon. Simon smiled, raising his hands. The hexe stabbed the Greater Demon. He dispersed, and reappeared next to a statue of an angel.